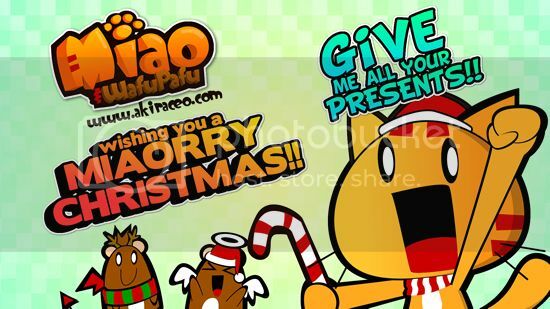 Miao & WafuPafu Comic Blog » Miaoorrryy Christmas and Happy Holiday to All!!! Miaoorrryy Christmas and Happy Holiday to All!!! WOOHOOO!!! 😀 How are you celebrating your eve? I went for Sherlock Holmes 2 just now, it was good!! 😀 Then, I hide myself in my house after that. Didn’t bother to go countdown. XD It’s crowded and jam everywhere @@. Anyway, any plans for tomorrow? Anyway~~~Happy Holiday to all !! It’s the last festive season of the year!!!! and oh, GIVE ME ALL YOUR PRESENTSSSS!!!! 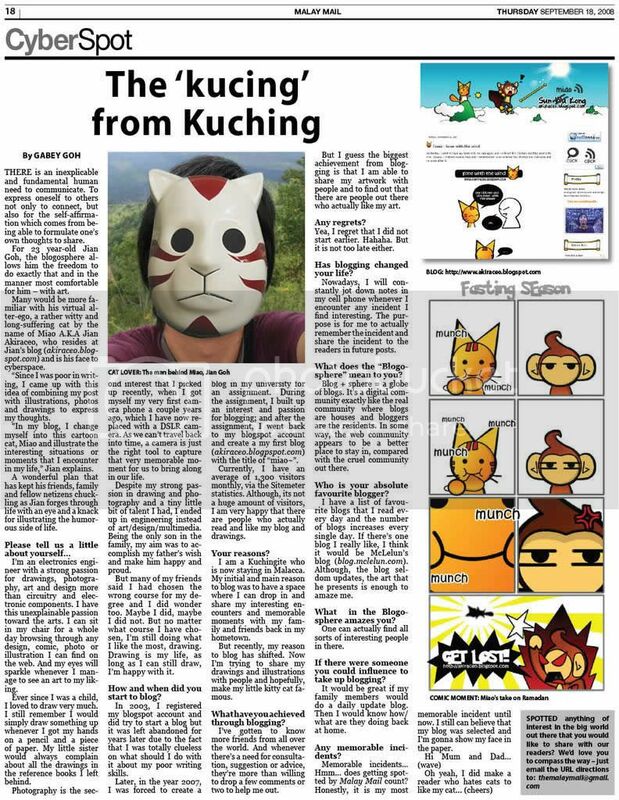 Posted on December 25, 2011 by Jian Akiraceo. This entry was posted in Festive Season and tagged Merry Christmas 2011. Bookmark the permalink. nah! ambik ambik semua!! LOL! Merry Christmas! Don’t know if it’ll appear. LOL! wan friskee ? hehehehe merry christmas! Got only 1 present from gift exchange, not gonna give it out, kakaka! !